Kathy and Zeke opened The Home and Garden Center in April of 2005. Their love for all things gardening left them wanting more, and running out of space at home, brought on the idea of opening up their own garden center. Their goal of finding hot, new trends and products sets The Home and Garden Center apart from any other. 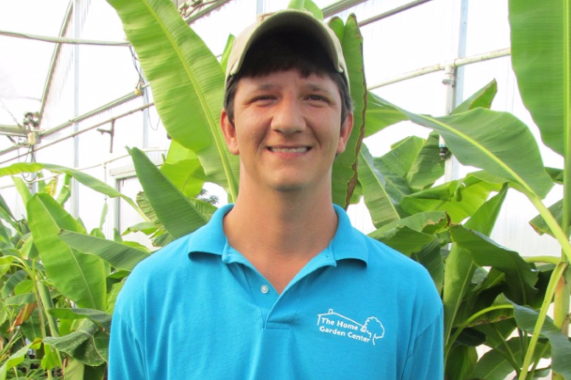 Born and raised in Hallsville, Danny’s interest in plants started at a young age while working in his family’s garden.Danny has worked with the Lintons since the beginning. After visiting nurseries around the country, they combined ideas and opened up The Home and Garden Center in 2005. Brittany was born in Texas, and since then has moved around, but has settled back home for the last 10 years. She has been with THGC for over 7 years, keeps our inventory in check and helps assist with customer orders! A Longview native, Brownie attended Texas A&M University, graduated in the Class of 2015 with a B.S. in Agriculture and has been with us for over 2 years. You can always find her hard at work in our back office on all things social media. Whether it be Facebook, Instagram, Twitter or Pinterest, she’s our girl! Most days, Michelle’s face is the first one customers see when they walk through our doors. Michelle takes care of the showroom, runs the website and has been a member of our THGC team for 5 years. Her love of gardening and her heart to serve makes her a wonderful part of the team. Many of you may remember Sara from her time with Smothermans Nursery! With 16 years experience in the nursery industry, Sara loves to help customers and share her knowledge of plants and landscaping. She also loves to create personalized landscape designs for our customers who are wanting to do the work themselves through our Plant-By-Number program! George was born and raised around the Dallas area, but moved to East Texas to be close to family about 11 years ago. His favorite things to do when he’s not at The Home & Garden Center are play guitar and taking hikes with his family. George is our go-to guy for nearly EVERYTHING in the nursery, whether it be loading or helping customers pick out plants for their yards. Miss Priss has been with us since 2017 and has earned the title of Food/Plant Inspector in her short time here. She’s always around to ensure plants are ready to be taken home with the customer, and that any food brought in is okay to be consumed. We are so grateful for her dedicated service to us. Sophie has been with us for over a year. If not found up front catching little pests and critters from entering our main building, you should be able to locate her by her loud “MEOW” upon entry to the store. This has consequently earned her The Home & Garden Center’s BEST Greeter position! Yoyo’s job of Resident Nap-taker is NOT as easy as it appears. Occasionally she has to get up and stretch, eat something, use the litter box, AND clean her nails. She can usually be found napping around the store – in baskets, planters, on displays and even on our front counter’s paper tray. Hershey works hard at his job of Greeter and all-around Good Boy. He can almost always be found working in the back office with his owner (and THGC’s proprietor) Kathy, helping to file and dispose of really important papers that we usually need.